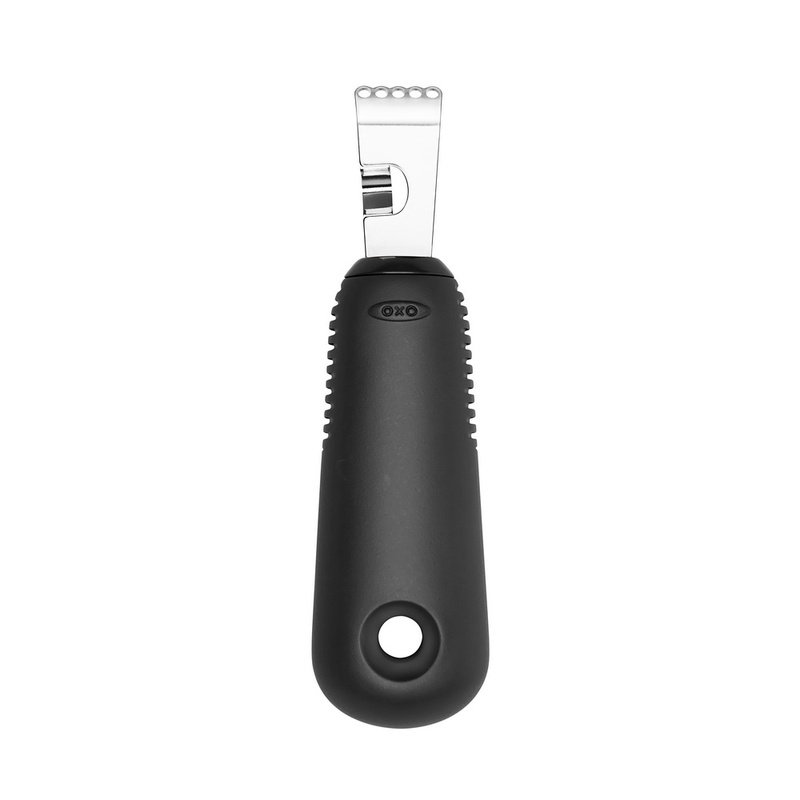 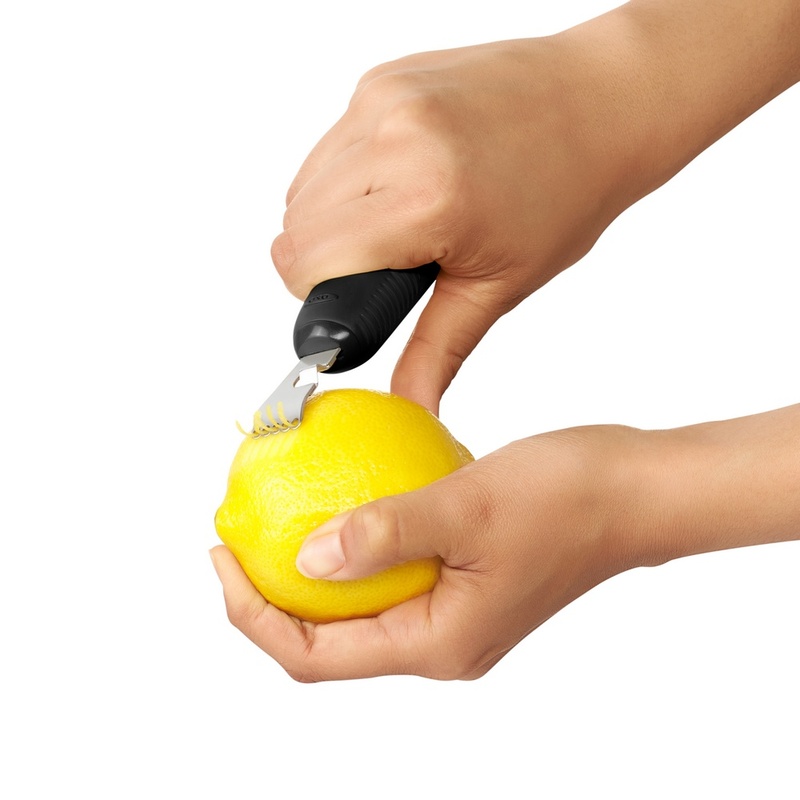 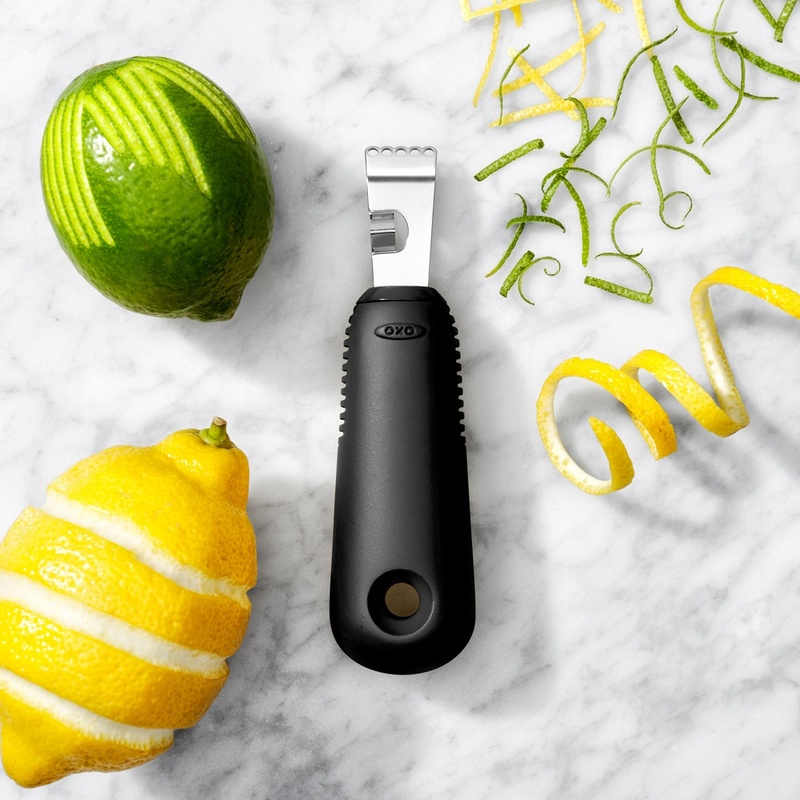 The OXO Good Grips Citrus Zester is two tools in one. 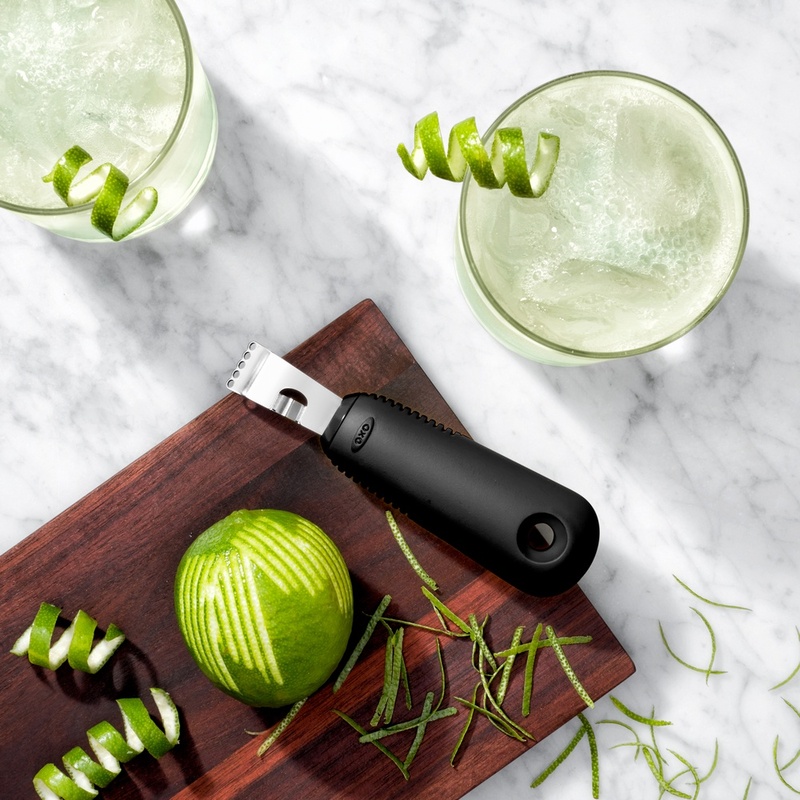 The sharp holes in its stainless steel head remove the zest from the pith of lemons and other citrus fruits easily, and a channel knife feature makes it easy to decorate for garnish. 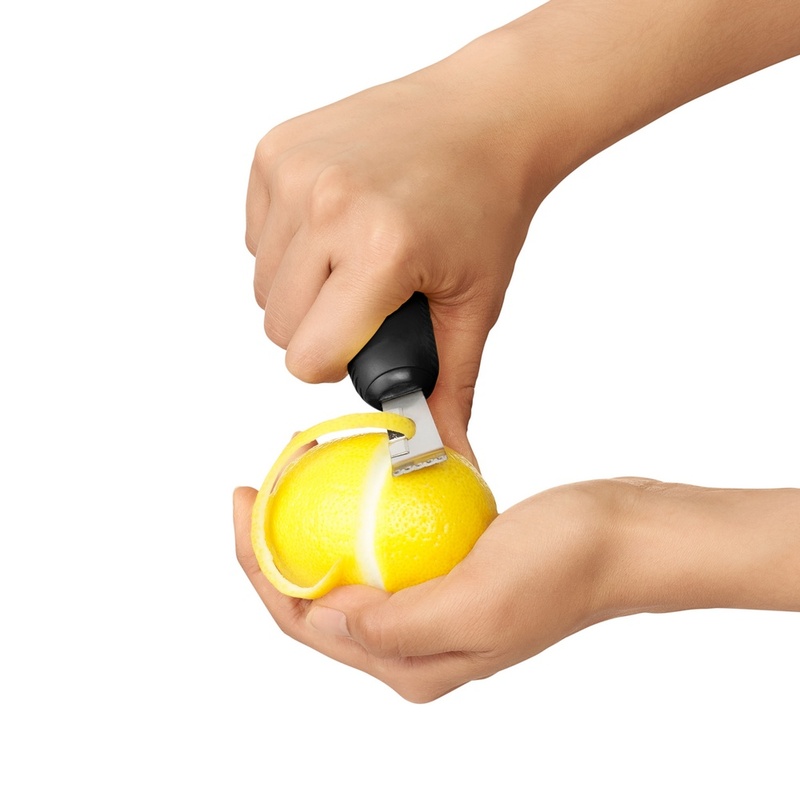 Its soft handle nestles comfortably in your palm and is designed to prevent it from spinning in your hand.